Mary Bell Manson was an amazing woman who unconditionally loved her nine children. At 92 years old, on Wednesday, January 16, 2019, Mary went to be with her Lord and Savior. Born February 7, 1926 in Homer, Louisiana daughter of Arthur Reynolds and Tina Willis, Mary was the youngest of seven siblings. She was raised by her brother JD and his wife Beulah Mae Reynolds. In 1942, looking for a better life, brother JD moved his family and Mary from Louisiana to California. Mary started working as a cook in San Diego Unified City School. She was the creator of the infamous Peanut Butter Chew bar cookie. Mary retired after 24 years as a master baker. Mary loved Bid Whist, Spades, bingo and dominoes. She was known for her superb cooking and gracious hospitality. 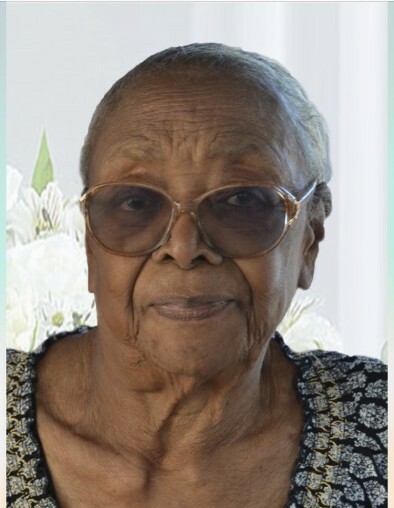 She loved playing with her children and friends and continued playing dominoes until days before the Lord called her home..
She will be greatly missed by her children, Harry Lee, Henry J. (Donna), Willie Darrell (Bonnie) Calvin (Minola), Vincent Eugene (Carla), Anthony Cardell (Jennifer), Gregory James, Ella Marie, many nieces, nephews, grandchildren and great great-grandchildren and many cherished friends. The viewing is on Friday, February 1, 2019 at 4pm – 8pm at the California Burial Chapel, 2200 Highland Avenue, National City, Ca 91950. Funeral service will be on Saturday, February 2, 2019 at 11 am at Unity San Diego, 3770 Altadena Avenue, San Diego, Ca 92105.